The hammer fell at the equivalent of $719,500. For that kind of money, one could buy three brand new Porsche 911 Turbo S coupes at $190,000 a pop and still have money left for a more practical Panamera Turbo ($150,000). 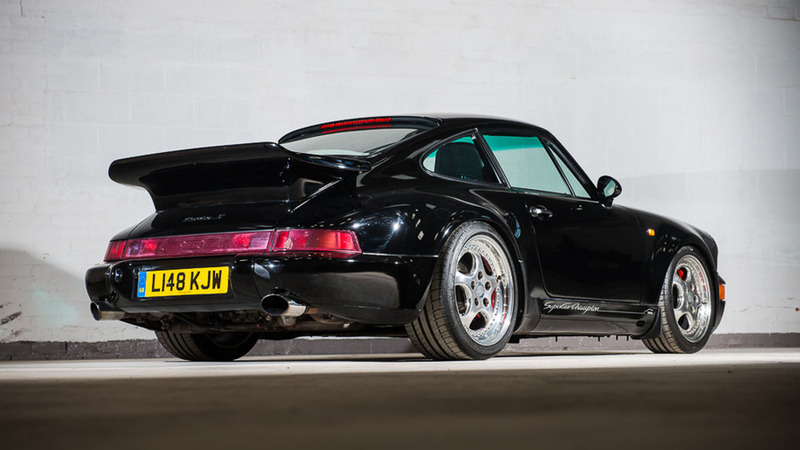 The highlight of Silverstone Auctions’ May Sale, this lovely 1993 Porsche 911 S Turbo Leichtbau (“Lightweight”) was the subject of an intense bidding war as many fought to claim one of the 86 cars ever made. Ultimately, the dispute whittled down to two bidders and they managed to hit the £500,000 threshold, with the hammer finally dropping at an impressive £556,875 (about $719,500). This particular left-hand-drive Leichtbau #51 is actually even rarer as it’s one of the just six cars finished in Gloss Black and comes with a rather unusual seat leather upholstery with a three-tone theme also applied onto the steering wheel. 397 pounds (180 kilograms) lighter than the 911 Turbo of those days, the special edition makes use of carbon fiber and comes with aluminum doors to shave off the weight. 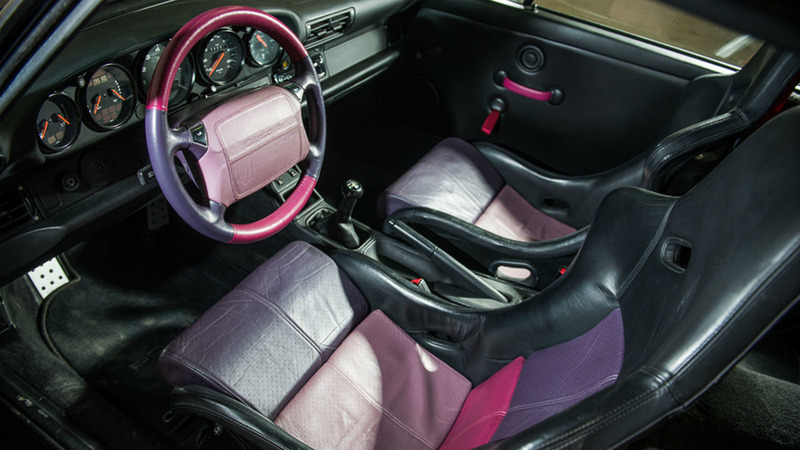 The diet also involved getting rid of the rear seats, installing thinner glass and carpets, as well as Kevlar-made luggage lid and rear spoiler. Aside from being substantially lighter than the regular Turbo S of the 964 generation, the Leichtbau also had an extra 61 horsepower for a grand total of 381 hp generated by the single-turbo 3.3-liter six-cylinder engine teamed up to a five-speed manual gearbox. Rounding off the changes were the side air intakes in front of the rear wheel openings, the body-colored flat rear wing, and additional vents to cool down the brakes. 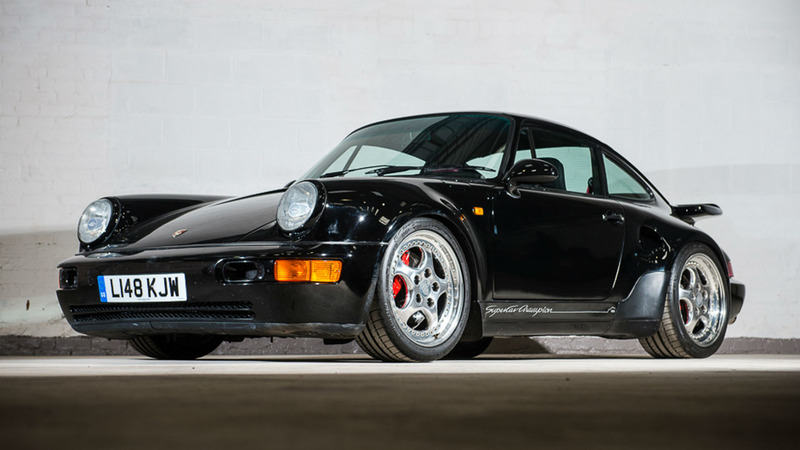 The Leichtbau is only part of the story as Silverstone Auctions’ most recent sale also involved many other valuable Porsches, including a 1989 911 Speedster (£164,250 / $212,200) and a 1961 356B Cabriolet (£123,750 / $159,900). There was also a much more attainable 1991 944 Turbo Cabriolet (£39,375 / $50,900) and models from other brands, such as a 1973 BMW 3.0 CSL (£83,813 / $108,300) and a gorgeous 1971 Aston Martin DB6 Mark II Vantage (£348,750 / $450,500). Check the press release below for full results. Silverstone Auctions’ May Sale achieves a 72 per cent sales rate and total sales of £3.6 million. Highest value sale breaks half million barrier as Porsche 911 Turbo S Leichtbau goes for £556,875. 75 cars went under the hammer with Porsche and Jaguar marques selling particularly well. A packed sale room witnessed one of the most heated bidding wars of the year so far at Silverstone Auctions’ May Sale, held at Silverstone Circuit on 13th May, resulting in a sales rate of 72 per cent and total sales of £3.6 million. The drama reached its height when the rare and special Porsche 911 S Turbo Leichtbau eventually sold for £556,875, including buyer’s premium, after an intense bidding war. There was real tension in the room when competition for the 1993 Porsche was whittled down to two bidders who drew gasps from the crowd with their last minute brinkmanship eventually pushing the price beyond the half million pounds mark, over £81,000 more than its lower estimate. Porsches in general sold well with a 1989 Porsche 911 Speedster also subject to lively bidding in the room and on the phone, with the phone buyer eventually winning out at £164,250, exceeding its lower estimate by £19,250. A 1961 Porsche 356B Cabriolet beat its lower estimate by almost £24,000 when a two-way bidding battle pushed the sale price to £123,750, while a 1991 944 Turbo Cabriolet beat expectations reaching £39,375, over £14,000 more than its lower estimate. Another popular marque was Jaguar, and seven out of the eight E-Types presented sold well. Healthy prices were topped by a 1965 Series 1 Roadster selling at £112,500, an impressive £27,500 over its lower estimate. A 1964 Series 1 fixed head coupe pulled frenetic bidding to reach £59,625, beating its lower estimate by almost £13,000. A left-hand drive 1955 XK140 SE really caught the attention of bidders with a phone war breaking out to push the price £46,500 beyond its lower estimate to a staggering £121,500 final sale price, drawing applause from the room. “It was fantastic to see such drama and excitement in the sale room today and the great results for our vendors reflected that,” said Nick Whale, managing director of Silverstone Auctions. Another highlight of the May Sale was the cult homologation special 1973 BMW 3.0 CSL, eventually hammered away for £83,813 after a dramatic bidding war pushed the price to almost double its lower estimate of £45,000. Established, classic marques drew most of the attention as expected, with John Cleland’s 1971 Aston Martin DB6 Mark II Vantage fetching an impressive £348,750, but some of the more modern machinery attracted intense interest, too. This was illustrated by a 1993 Lancia Delta Integrale Evo 2 beating its lower estimate by just over £15,000, coming in at £41,063. Bidding interest was global and buyers added to the international flavour with a modified 1985 Ferrari 308 GTS QV shipping out to Indonesia with a Ferrari 400 series V12 shoehorned into its engine bay. Despite the less-than original powerplant, this impressive machine sold for £54,000. One car that attracted attention more for its owner than its motoring heritage was the 1960 Bentley S2 barn find sold on behalf of Sir Ray Davies of the Kinks, which eventually sold for £29,250 despite needing restoration. One of the delights of the day occurred in the automobilia sale when a Ferrari Daytona 365 GTB/4 original tool roll sold for an astonishing £12,000. “Surely, this must be a world record for a toolkit,” commented Nick. The next Silverstone Auctions sale will be the Silverstone Classic Sale on 28th and 29th July, preceded by a Race Car Sale on the 27th, and as the excitement is already ramping up potential sellers are advised to contact Silverstone Auctions as soon as possible. “We’re looking forward to building on the success of today going into the Silverstone Classic in July, which is our flagship sale of the year. 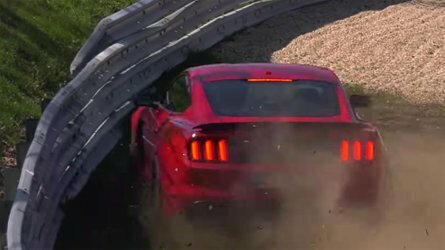 It also has the added interest of a dedicated race car sale, making it a compelling event over three days,” added Nick. To view the full list of results from Silverstone Auctions’ May Sale please visit: https://www.silverstoneauctions.com/the-may-sale-2017/view_lots/pn/all.